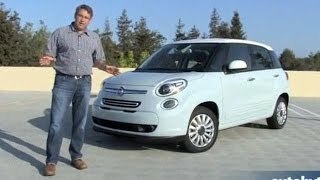 Fiat displayed the all-new Fiat 500L and all-new Fiat 500L Trekking models at the 2012 LA Auto Show. Taking the FIAT brand’s DNA, the all-new Fiat 500L expands the appeal of the iconic 500, while adding two more doors plus comfortable accommodations for five passengers. 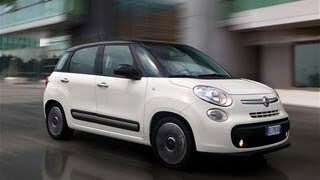 The all-new Fiat 500L expands the appeal of the iconic 500 while adding two more doors plus best-in-class interior volume (120.1 cu. ft.) providing comfortable accommodations for five passengers. With its recognizable Cinquecento exterior design features and a silhouette, the all-new 2014 Fiat 500L provides more utility and comfort. For even more scenery and style, a large dual-pane glass sunroof system along with a contrasting Nero (black) or Bianco (white) painted roof is available. 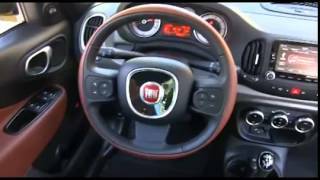 The interior of the all-new 2014 Fiat 500L has best-in-class interior volume, good for 42 percent more interior space than the 500 hatchback. The all-new Fiat 500L features a perfect blend of modern simplicity, iconic Italian styling and numerous personalization options like a well-designed loft designed to convey a sense of refinement, elegance and fun. It is powered by the fuel-efficient 1.4-liter MultiAir Turbo four-cylinder engine delivering 160 horsepower, 184 lb.-ft. of torque and up to an EPA estimated 33 miles per gallon (mpg) on the highway with either the six-speed manual or Euro Twin Clutch transmission. 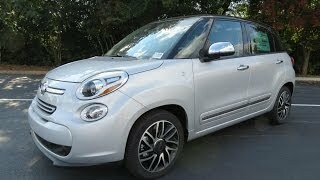 The 2014 Fiat 500L Pop model has a starting U.S. MSRP of $19,100 (plus $800 destination charge).